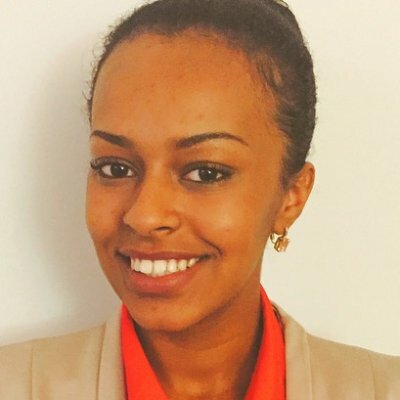 Mariam Bekele was a student in my MKTG 384 class (Integrated Marketing Communications) and a member of the JMU College of Business winning team that captured the 3rd Place Bronze Award in the 2015-16 Marketing EDGE Collegiate ECHO Competition. 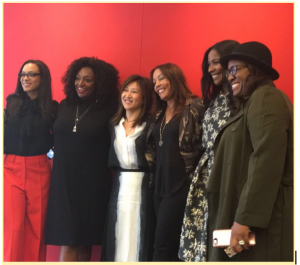 Mariam recently attended the 2016 Diversity & Inclusion Mini-Conference at Advertising Week New York. In this interview-based guest post, she shares reflections about her experience. What is the Diversity & Inclusion Mini-Conference and why did you decide to attend? The Diversity & Inclusion Conference is a one day conference presented by the American Advertising Federation in partnership with ADCOLOR. The conference, held during Advertising Week in NY, discusses solutions to the diversity and inclusion issues that still plague the advertising and media industry. I first heard about the conference from Dr. Theresa Clarke. She was the professor for my Integrated Marketing Communications (MKTG 384) course last semester at JMU. It was actually in her class that I realized my passion for advertising. I visited her office to thank her for a great semester and for helping me realize my passion. During our conversations, she suggested I attend the Diversity & Inclusion Conference at Advertising Week, NY and then connected me to the College of Business’ (CoB) Office of Experiential Learning at JMU to learn about financial support for the trip. Thankfully, Ms. Molly Brown, CoB Associate Dean of Undergraduate Programs, offered financial aid through her office so I could attend the conference. I decided to attend because, as a soon-to-be marketing graduate I couldn’t have imagined a better opportunity. As a woman who comes from a multicultural background, I had a lot to take away from this conference. This was a wonderful opportunity for me to connect with individuals who have similar experiences and also learn from people who have succeeded in the industry despite the many obstacles they have faced. What did you do at the conference, who did you meet, and what was your biggest takeaway? The conference started out with a presentation by Norma and Hector Orcí. This husband and wife duo co-founded Orcí Advertising Agency and have been champions in understanding the Latino consumer demographic and helping companies in the US cater to their needs. I learned that firms can no longer afford to lag behind when it comes to the inclusion of minorities, especially since the US is on its way to becoming a “minority-majority” nation. Their talk was followed by a panel moderated by Renneta McCann, Chief Talent Officer at Leo Burnett. The panel focused on the experiences of different multiculturals at the workplace. Oftentimes, multicultural employees face micro-aggressions and stereotyping in the business world, especially since minorities only make up about 20% of business employees. That number drops down to 14% when it comes to minority business owners. Due to our small numbers, often times multicultural employees feel invisible in the workforce as a result of people’s unconscious biases. This panel discussed a variety of solutions to the issues faced in the workplace. I felt quite emotional during this part of the conference. I identified with a lot of their experiences and it was nice to hear I was not alone. One of the biggest problems faced by multiculturals in the workplace is microaggressions from their peers. For the most part we ignore comments like “can I touch your hair” or “ do all black people love watermelon” but sometimes it can be more serious. ‘Idea hijacking’ is something that happens quite often. You are at a meeting, you suggest an idea and for the most part it gets ignored; a few minutes later another colleague will make the same point you did at the meeting but this time, everyone is listening and agrees that it is a great idea. Now this is enough to upset someone at the table, but of course you can’t say anything because if you do then you are perpetuating the stereotype of the “angry black woman” or the “aggressive black man”. A classic catch 22, it’s difficult to professionally react in such a situation. Nigel Adams Chief Talent Officer at Razorfish has an interesting solution to this problem, he calls it being ‘professionally obnoxious’. For example, when someone hijacks your idea at a meeting just be ‘professionally obnoxious’ and say “That’s a great idea, I think I’ve heard that somewhere….oh yeah, I just said the same thing five minutes ago”. Use your humor, be professional, but still get your point across. Next, we had lunch and all the attendees got a chance to chat about our experiences. I met some great individuals that have been very successful in their fields, and who were kind enough to share their experiences and advice with me. Following lunch, there was a panel that focused on the intersectionality issues women of color face in the workplace. This was probably my favorite part about the conference. The panel was led by Angela T. Rye, one of the realist and influential political strategists on-air. The panel also consisted of several other talented women who have shined despite the obstacles they have faced in the workplace. The panel didn’t resemble much of a panel, filled with humorous advice it was more like a conversation over lunch with my girlfriends. I could relate a lot to their experiences. It’s already challenging being a woman in such a male-dominated work environment, but being a woman of color comes with certain unique challenges that are different than those other women face. One of the themes I heard at the conference, and personally experienced, was the feeling that they were treated as invisible and not heard in the workplace. When feeling like you are treated as invisible, a lot of the panelists suggested speaking up in the workplace and reasserting your ideas and contributions. My plan is to always be prepared in the meeting room, and back up my business solutions with sound research. This is why these women have excelled and found their voice, in an environment that constantly tries to silence and ignore them. They have turned around and used their greatest weakness as their greatest strength. The biggest thing I took away from this conference is to stay true to myself and stand by what I believe. One belief that is really important to me is that if you are in a position where you are fortunate, you are obligated to help those who are not. And this conference made me realize that, no matter where I go in life and what I do, I need to always use my success to help others. I was really inspired by the solidarity among these women. I gained so much knowledge and insight from them. Some of them were kind enough to reach out to me personally and offer me advice and tips. In the future I hope to do more to support diversity and inclusion in our communities. For example, something I’m currently working on is Fostering Abyssinia, which is a student-led organization that fundraises for the Kibebe Tsehay Orphanage in Ethiopia. As President of Fostering Abyssinia, I make sure that all of our fundraising efforts educate the JMU community about the diverse and rich culture of Ethiopia and Africa as a whole. Do you have any tips for JMU students who want to attend the Diversity & Inclusion Mini Conference? We are lucky enough to be a part of such a great institution that is always encouraging students to excel to their fullest potential. We are lucky enough to have amazing educators who are passionate about developing talent. Use it to your advantage and take on opportunities that will help you grow. The College of Business is very proactive when it comes to increasing diversity and inclusion. I also suggest you talk to Ms.Molly Brown in the CoB Office of Experiential learning at JMU as she may be able to share information about funding opportunities to help you attend the conference. I also encourage everyone, regardless of their background, to attend this conference. Whether you are black, white, hispanic, asian, native American, I guarantee that this will be an eye opening experience for you, especially if you are considering a career in Marketing Communications/Advertising. Not only do you gain a lot of insight and knowledge but there are many individuals who are willing to share their experiences and help you in starting your career. It’s also a great networking opportunity. In just one day, I gained so much knowledge that you don’t typically get in a traditional class. I connected with at least eight professionals who were interested in fostering new talent. A few of them requested I send them my resume and others wanted to keep in touch and give me personal career advice. I also met a few people that I will remain friends with throughout my career. Last but not least, I want to express my extreme gratitude to the conference organizers, as well as Dean Mary Gowan, Associate Dean Molly Brown, and Administrative Assistant, Chris Shiflet for making this trip a possibility for me. Left to right: Moderator Angela T. Rye Principal and CEO at Impact Strategies; panelists Shannon Washington of INVNT, Nita Song President at IW Group, Lucinda Martinez Senior Vice President, Multicultural Marketing at HBO, Ericka M. Pittman VP Chairman’s Office of Combs Enterprises, and organizer Tiffany R. Warner Founder and President at ADCOLOR.